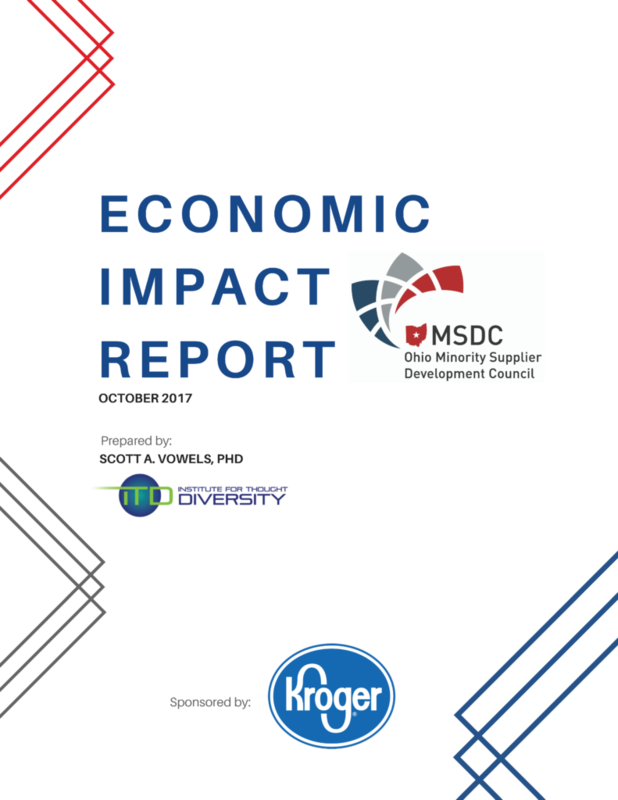 The Ohio MSDC conducted a study to assess the economic impact that the Ohio MSDC-certified MBE community has on the state. This impact includes the increased business activity created by MBEs, the jobs that are maintained/created as a result of this activity throughout the various sectors of state’s economy, and the incremental business taxes that are generated. The results of the study are that today, OMSDC certified MBEs are the primary catalyst for the generation of over $11.8 billion in output that results in the creation of and/or preservation of more than 52,000 jobs held by persons who find themselves either directly or indirectly employed by Ohio MSDC-certified MBEs. These are jobs that not only support individuals, but also contribute to the economic wellbeing of their families, their communities, and the state of Ohio as a whole. These same individuals are also contributing over $1.2 billion to the tax base of state ($828M federal and $421M state and local taxes) that have historically struggled with enormous budget deficits..